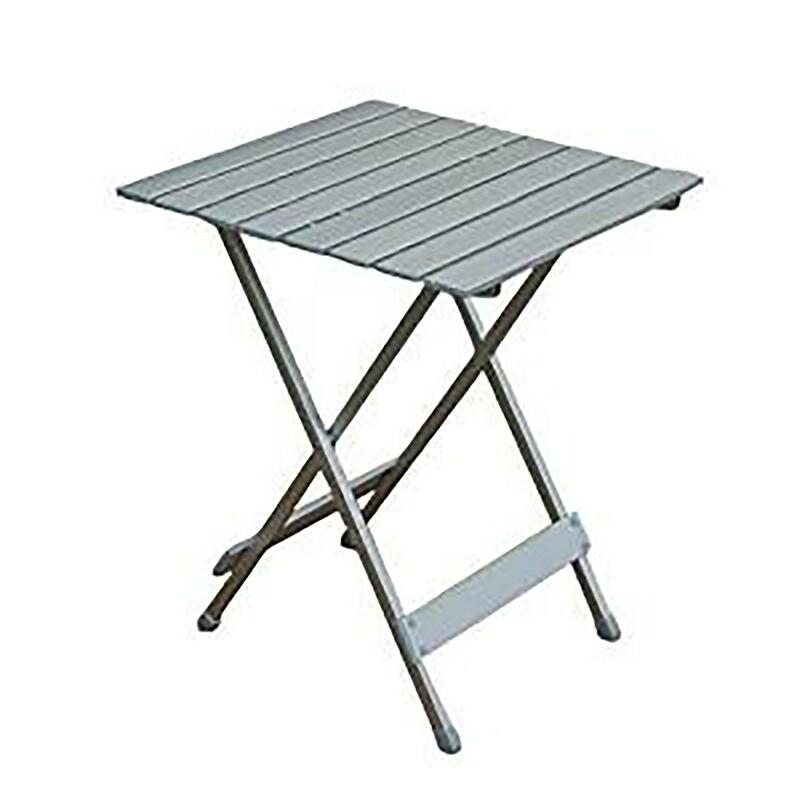 Very compact and lightweight folding table. Frame and table top made of aluminium. Weatherproof. Unfolded Size 50x50x64cm, Folded Size 75x50x6cm. Weight 4.2kg.